User-generated content can be a powerful way to build customer engagement and loyalty, but one wrong move can cause significant harm to a brand’s reputation and the business bottom line. We talk to marketing leaders, brand consultants and industry experts to uncover the fatal mistakes brands need to navigate when implementing UGC and how to mitigate risks should they arise. The first commandment of UGC is you shall not publish without permission, Australian Marketing Institute CEO, Lee Tonitto, said. Tonitto claimed there is a myth in some circles that, just because a piece of content has been uploaded to a site such as Twitter, Facebook, YouTube or Instagram, it is free to use without restriction and without reference to or permission from the original uploader. The possible reputational and customer relations risks of using customer and fan content without permission are obvious – as a customer may not expect or want his or her content to be adopted in an advertising campaign. Read more What skills do CMOs need to drive the future marketing function? Cognizant Digital Works’ head of strategy, Susan Brown, agreed consumers’ information without formal consent can erode trust in the brand, damaging the brand’s image and sales. Having a robust system to reach out to UGC content producers to track acceptance of content use is critical to avoid harm to brand reputation and trust. “The sheer amount of data and content collected by brands coupled with the complexity of ensuring privacy creates a significant amount of consumer anxiety,” she commented. While UGC would lose its authenticity without criticism, experts agreed a lot of negative feedback could be prevented if the company handles complaints before a disgruntled customer makes them public. “Quite often, a reviews feed will strike back at the negative, of course unless it’s what everyone’s experience is, in which case you need to look closely at your product or service,” brand communications agency Hard Edge’s managing director, Andrew Hardwick, said. “But it also quite often happens that the negative can be avoided beforehand. This is the issue United Airlines faced in 2008, when Canadian musician, Dave Carroll, submitted a claim the baggage damaged his $3500 guitar. When he complained to the airline, United Airlines informed him he was ineligible for compensation because he had failed to make the claim within its stipulated standard 24-hour timeframe. Disgruntled, he decided to write a song called ‘United Breaks Guitars,’ which became an immediate hit on YouTube and iTunes in 2009 and subsequently, a global public relations embarrassment for the airline. There is always going to be negative feedback and no one is perfect, Squiz’s global marketing director, Robin Marchant, said. 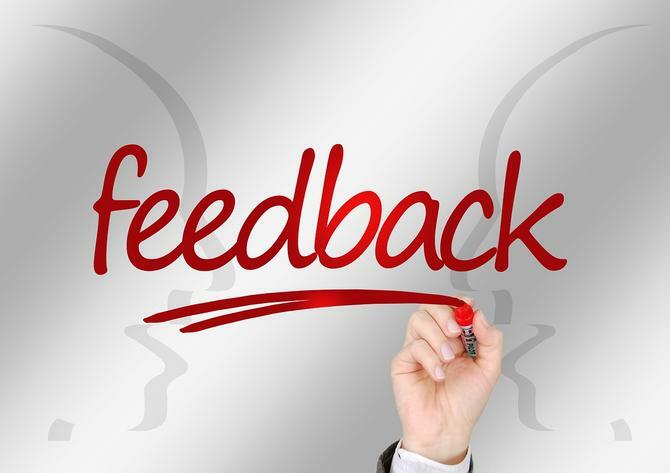 But negative feedback should be appropriately leveraged as high-quality intelligence on how to improve. Dennis advised defining and adopting a clear process around how you will deal with riskier content in a transparent way. A classic mistake marketers make when it comes to UGC is giving fans too much power when deciding final outcomes, local managing director of global production house Chimney Group, Bo Thorp, said. This was the problem the UK National Environment Research Council (Nerc) faced earlier this year, when calling upon the public to name its new research vessel in the #nameourship campaign. While content needs to look authentic and presented in a way the customer would normally engage with online, too many marketers fall into the trap of only using pristine and perfect image content, especially on highly visual platforms like Instagram, Tonitto said. “One of the biggest user-generated content mistakes comes from a slight misunderstanding of its purpose,” she said. “As a marketer, you should understand the very reason why UGC became a currency of modern marketing was consumers’ lack of faith and trust in traditional advertisements. Another mistake many marketers make is user-generated photos, reviews and Q&A for a shorter span of time or in less repetitive manner, Tonitto claimed. “The fact is this sort is content is evergreen and can really help keep customers’ interest level intact,” she explained. “Repurposing your UGC across marketing channels can make a little content go a long way. It’s very important to extend the shelf life of the quality customer content and it is easily achievable by accumulating contributions that drove the most engagement and use them for future campaigns. Letting conversations slide, ignoring great content generated by your tribe and ignoring your customers on social can also signal death to your UGC strategy. “It’s critically important to maintain the ongoing momentum,” Tonitto said. “The efforts to encourage people to participate in your UGC activity should be ceaseless. So keep a close watch on your brand mentions and related hashtags so that you can like, comment, and share user-generated photos and statuses from your enthusiastic customers. 5. The haters are going to hate – so how will you handle it? There is always a risk in relying on others to tell your story, or participate in your brand strategy, because the haters are always going to hate, Thorp said. Avoiding a potential viral disaster is all about good risk management. Thorp suggested moderation, having fast responses and always being clear in your replies. For moderation to be efficient and make sense, strict policies must be set and applied to govern content authenticity, originality, privacy, as well as political and social correctness and legalities, both locally and globally, Brown suggested. “I recommend a mix of automated, community and human moderation of UGC to mitigate risks,” she said. “Automated moderation uses computer applications and algorithms. Effective methods include the use of automated algorithms such as the Bayesian filter, most commonly used to detect email spams. Such filtering models can, for example, detect patterns of blacklisted words and phrases, colour tone and other specific items that need monitoring. It’s therefore imperative to leverage the right tools and adopt a cohesive risk management strategy, Brown said.